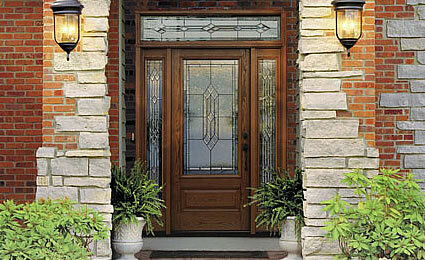 Imagine the beauty of oak wood for the front door of your home with all of the added benefits of fiberglass. Our Oak Collection™ offers deep rich grain detailing for a stunning first impression and instant curb appeal. The Classic-Craft® Oak entry doors in this collection have the distinctive look, texture and feel of natural oak grain, but won’t dent, ding, split, rot, or crack like real oak doors will over time. Our patented AccuGrain™ technology gives the look of high-grade wood with the long lasting durability of fiberglass. The eye catching entry doors in this collection are low maintenance and will retain their beauty for years to come.